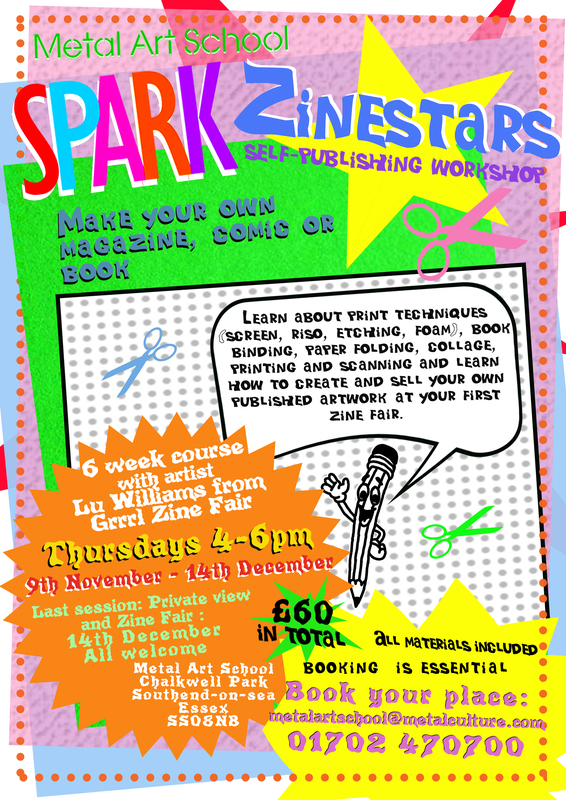 Home > News > Events > SOUTHEND ~ METAL ART SCHOOL PRESENTS SPARK ZINE FAIR! 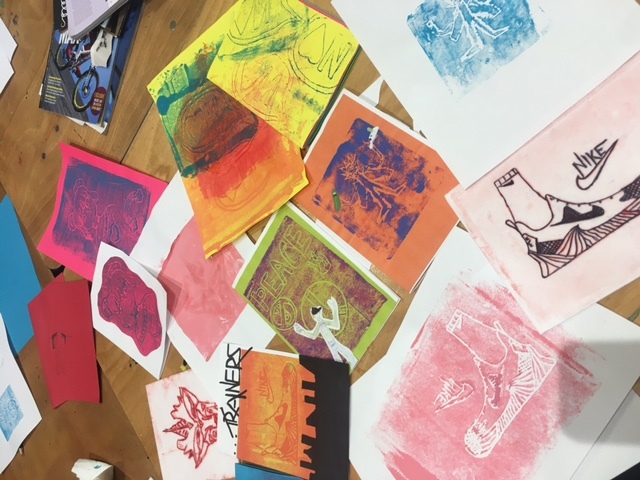 The second instalment of SPARK, our fabulous art course for young people, has seen some amazing Zine work from the young creatives under Lu Williams’ wing. 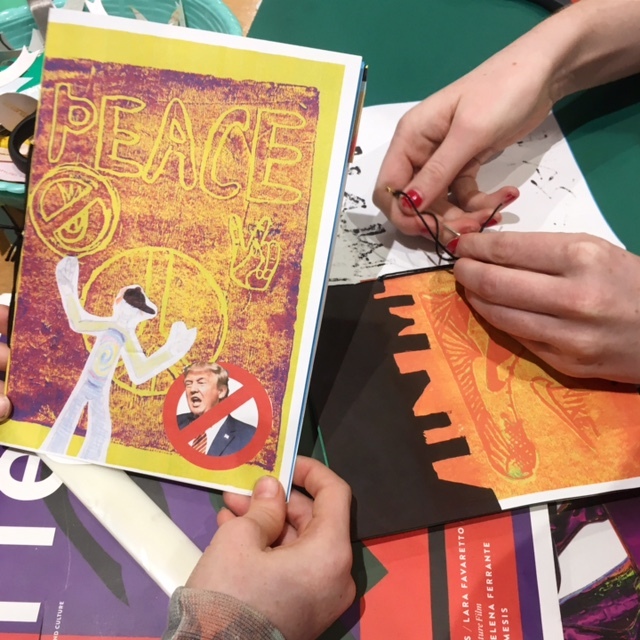 So good in fact we’ve decided to have a Zine Fair to show it all off to their proud parents & friends! Find out more about SPARK and how you can get your young folk on the next course. 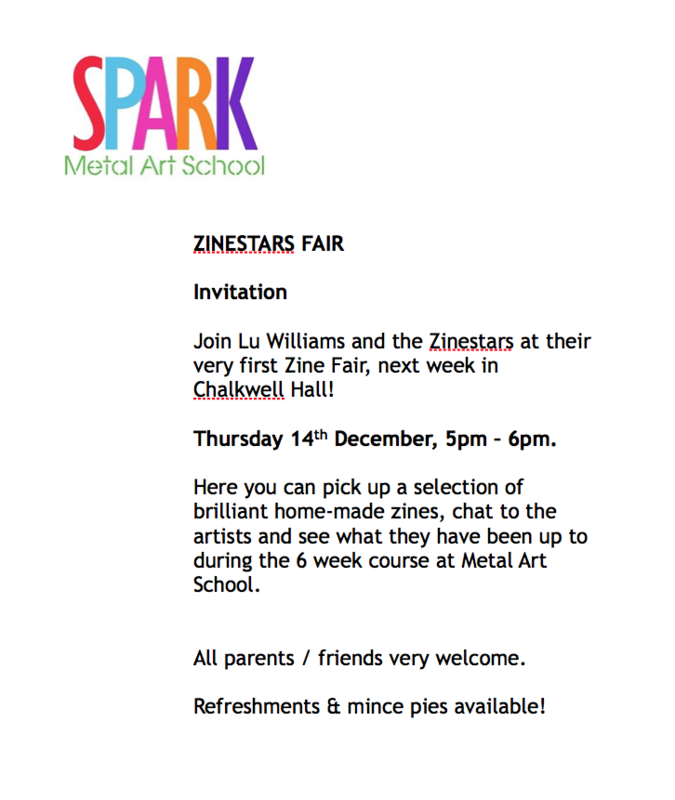 SOUTHEND ~ METAL ART SCHOOL PRESENTS SPARK ZINE FAIR!